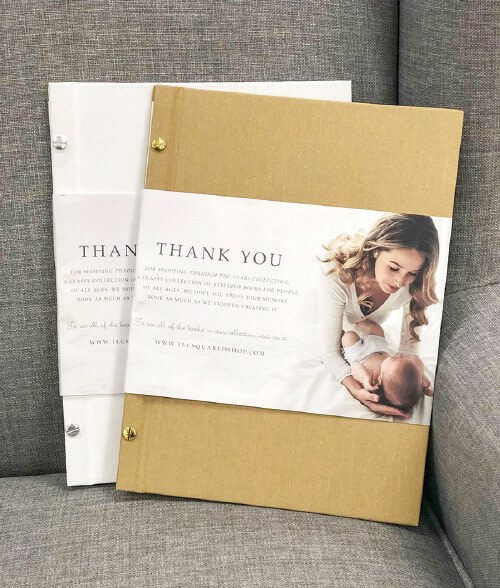 Knowing there were plenty of parents like them who sought a classy, user-friendly medium, the Griffiths founded TLCSquared Shop last year, offering a line of baby milestone books as well as digital invitations. Debuting at the LA Mart Gift and Home Show in January, the brand’s Through The Years Collection of modernized memory books and new-to-market event scrapbooks feature eight playful (yet tasteful) designs like woodland creatures and sailboats.Pages are removable so parents can decide how much space they’d like to dedicate to each memory. The books also feature minimal scripting and ample room for writing, so busy parents can capture what’s most important to them simply and quickly. All books retail from $80 to $100. For more information, visit TLCSquaredShop.com or contact TLCSquared@hotmail.com.